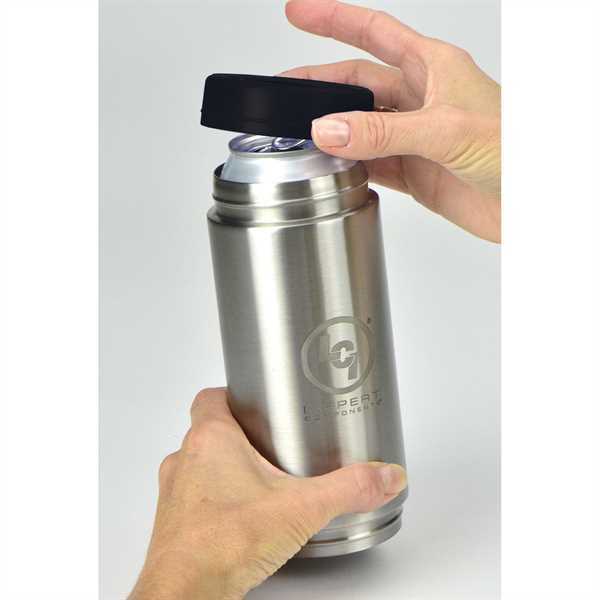 Imprint Method: 1 Color 1 Location - Keep your drink cooler when you are on the go with this double wall stainless steel cooler/tumbler. Use as a tumbler or a can cooler. This item includes a rim that twists on and holds your drink in place. Holds 12 oz. can or 18 oz. bottle. Size: 7.75 " x 3 " x 3 "
Imprint Size:1.5" x 4", 3" x 4", 8.25" x 4"